Sister Beatrice Herman, 94, of the Sisters of St. Francis of Tiffin, Ohio, died at 4:30 am Thursday, August 2, 2018 at St. Francis Home. She was born July 12, 1924, in Reed, Ohio, to John E. and Frances (Scherley) Herman. Surviving are two sisters, Mary Sberna and Agnes Wilhelm; and a brother, Victor Herman. She was preceded in death by her parents; two sisters, Eleanor Flicker and Rita LaBonte, and four brothers, Richard, James, Paul, and Marcus “Max” Herman. Sister Bea, as she was known to all who knew her, was a child of the Depression and one of 10 children. Following the example set by her parents during the Depression, Sr. Bea felt the “need to reach out to others.” The Sisters of St. Francis, who taught Sr. Bea, were also positive role models whose care and concern for others greatly impressed her and influenced her actions towards others. After graduating from St. Francis Convent High School, Sr. Bea attended St. Francis College in Joliet, Illinois, where she visited prisoners in the Illinois State Penitentiary. She continued this ministry throughout her life keeping contact with prisoners by mail. Sister Bea received her Bachelor of Arts degree in education and social studies from Mary Manse College, Toledo, Ohio. Following graduation she taught at St. Nicholas, Miller City, and Millersville, Blakeslee. In 1959 Sr. Bea began a ministry she was to cherish throughout her life, working at St. Anthony Villa in Toledo, Ohio, where she served eight years as housemother and three years as an administrator. Sr. Bea returned to Tiffin when she was elected to congregational leadership from 1970 to 1974 and from 1994 to 1998. During this time she was instrumental in establishing FISH of Tiffin, a program that continues to this day serving emergency needs of food and supplies to people of the Tiffin area. She later became a pastoral associate in Cecil, Willard, Delphos, and Tiffin, Ohio, and Booneville, Kentucky. During Sister Bea’s pastoral associate years walking with married couples through the annulment process was a significant healing ministry. 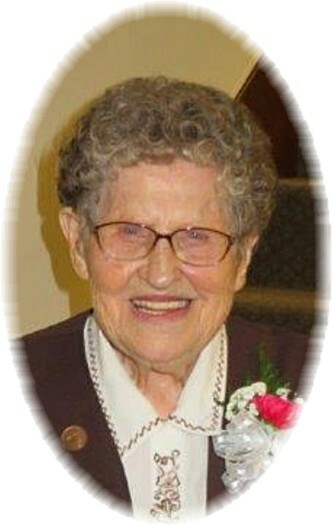 She returned to the Tiffin community in 2006 where she was a Minister of Service and Prayer. In 2003 Sister Bea received a Franciscan Federation award at the annual Peacemaker Banquet in recognition of her 26 years of peace-making, reconciliation, and healing. Visitation will be Sunday, August 5, 2018, from noon to1:30 pm, at St. Francis Home Chapel, and 2 to 8 pm Sunday at St. Francis Convent Chapel, where a wake service will be 7 pm. Visitation will also be Monday, August 6, 2018 from 9 to 10:25 am, with funeral Mass at 10:30 am, at the Convent Chapel. Burial will follow in St. Francis Convent Cemetery. Memorials can be made to St. Francis Convent or St. Francis Home. Arrangements are under the direction of the Traunero Funeral Home and Crematory, 214 S. Monroe St., Tiffin, OH 44883. (419) 447-3113. For directions, flower orders, or to send condolences, go to www.traunerofuneralhome.com.